A collection of short essays evoking the early years with the Ovahimba. Rina Sherman trace l'anthropologie que Jean Rouch a partagé avec elle à travers ses études et sa collaboration avec lui, ainsi qu'à travers l'influence qu'il a eu sur ses films et ses propres travaux de recherche sur le terrain en Afrique Australe. Elle parle notamment de son enseignement de "ciné-gym" et la rencontre décisive pour elle avec son idée du point de vue suscité par la présence de la caméra comme entrée en matière du réel. À travers un examen multimédia - une présentation, une sélection de photographies et des extraits d’images vidéo - je démontrerai divers aspects de la décoration du corps comme élément constituant de l’identité de groupe chez des jeunes Ovahimba, hommes et femmes. University of Namibia, Windhoek, May 2000. Abstract: In this presentation I will look at the various levels of interaction between the three agents, the researcher, the assistant and members of the community within which research is being conducted within the context of my fieldwork amongst the Ovahimba people over a period of seven years. The potential interaction between these three agents are manifold and can be questioned in a number of ways, of which: What the researcher wants, what the assistant thinks the researcher wants, what the assistant wants in terms of his or her respective relationships with the researcher and members of the community, what members of the community want from the assistant and also through the assistant from the researcher. I will also examine how research methods were adapted to the level of skills of assistants and how in turn the assistants' skills influenced research methods, as well aswhy finally, I decided to work without assistants and outsource the skills I did not have, e.g. Word by word translation from Otjiherero to English. Various case studies will be referred to throughout, most notably the dramatic case of Tjomihano, the only assistant that was a member of the local community. AnthropoPages, Terrains vécus : Terrains revécus, Edition Ici et Ailleurs, GRAEA, no. 5-6, March 2006. To order, contact: GRAEA 569, rue du Canet 34 400 Saint-Sériès, France. Le film africain & Le film du sud, novembre 2002, no. 41, pp 45-56. Die Republikein, 2002, translated from the Afrikaans. 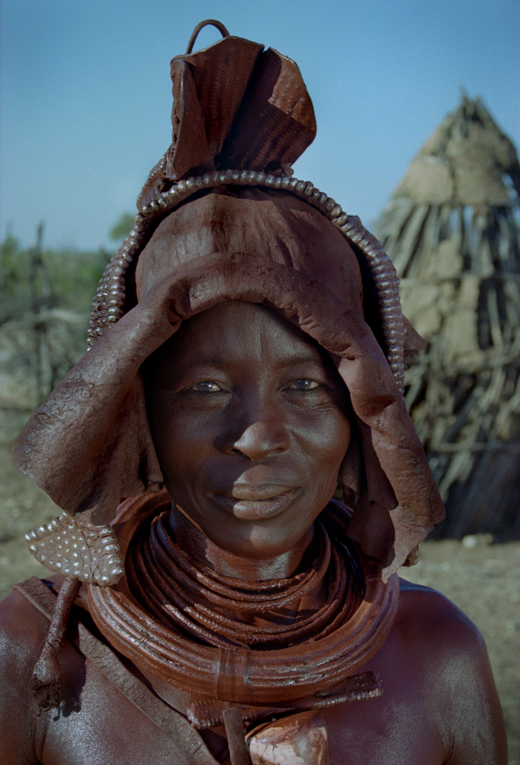 Thus Thus Came "The Ovahimba Years"
Mise en ligne par la Fondation Maison des Sciences de l'Homme / ESCoM d'une série d'entretiens vidéo et d'autres informations sur divers aspects de l'étude mutlidisciplinaire ethnographique Les années Ovahimba. Son dernier film intitulé : « Keep the Dance Alive┃Que la danse continue » porte sur les pratiques de musique, de danse et de transe de possession des groupes de langue Otjiherero du nord-ouest namibien et du sud-ouest angolais. In 1996, Rina Sherman curated a programme of Jean Rouch's films and organised Jean Rouch's tour of South African universities in collaboration with the French Institute in South Africa (IFAS) and the Mission for Cooperation and the Cultural Services of the French Embassy in Namibia. Dolly Rathebe, Dorothy Masuku, Mara Louw and a company of South African musicians.